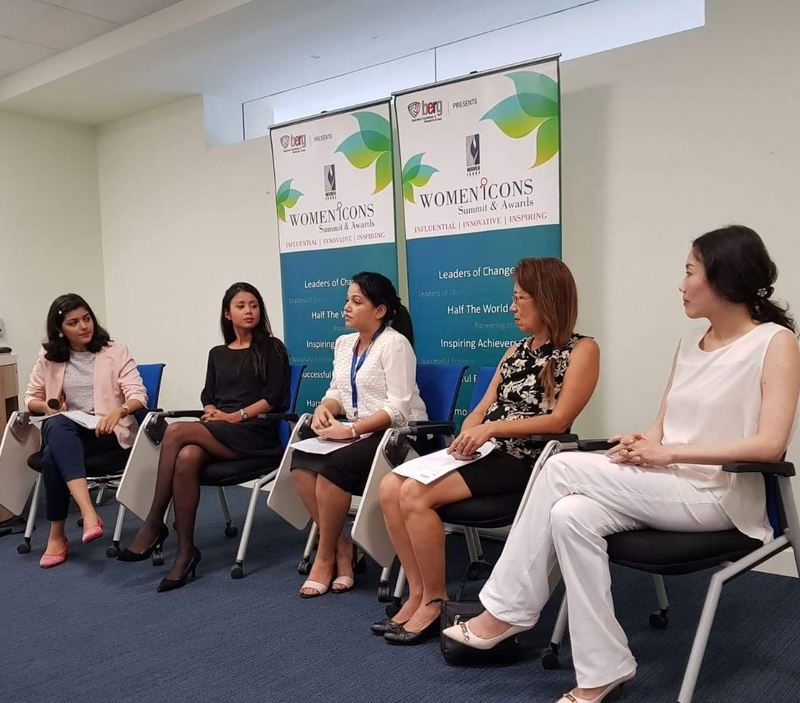 Women Icons Network (www.womenicons.com) hosted a discussion around “Access to girls education is the key to achieving gender diversity”, on July 12, 2018, at the James Cook University Singapore, to mark the UN-designated “Malala Day”. It was intended to be a get together of like-minded individuals who care and value the need to enhance access to education for the girl child across all the underdeveloped & developing countries across the world. 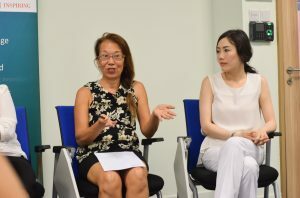 The initiative was part of the Women Icons Network of BERG Singapore. 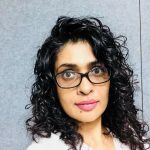 Panellists included Dr Smita Singh (Senior Lecturer at JCU) who is an experienced educator and scholar. 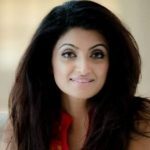 Leza Parker, an entrepreneur who is the CEO of the firm, SC Beauty Network Pte Ltd, that scaled across 17 countries globally. Shirley Ong is the Vice President at Mutual Benefits Realty Pte Ltd Singapore. Shirley is a Real Estate and Immigration specialist, who deals in high net worth individuals and companies portfolio. Dr Caroline Wong, who is a senior lecturer in business management and has published widely in the field of knowledge management by taking a multidisciplinary approach and this field of research extends into knowledge-based cities, creative cities, and creative industries with special focus on Singapore. 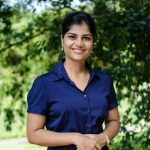 Her research interest also extends to the scholarship of teaching and learning. 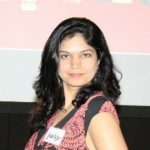 Kashmira Mehta, who is the operations and marketing associate at BERG Singapore, moderated the panel discussion very well. She is also the convener of the Women Icons Network. On July 12, 2013, Malala Yousafzai, a sixteen-year-old Pakistani girl engaged in the promotion of women’s education, delivered an impassioned speech at the United Nations (UN) headquarters on the need for gender equality in education. The address saw several rounds of standing ovations for the teenager and the day, July 12, was soon declared by the UN as Malala Day in honour of the young activist. 1. At the grassroots level, girls have to come over hurdles of infrastructure as schools are located quite far away from their houses. They also have to face the challenge of overcoming parental mindset of not sending daughters to school, as they can be a help to do household work and earn money for the family. On the other hand in some places, girls have to fight the mindset of getting the education only for the low-class job and not striving to excel further. Poverty is the other major reason, which deprives girl child of the education. Different countries have different challenges. 2. Mindset plays a big role in achieving gender diversity. Leza mentioned that in Singapore mindset is changing and to support women, men are participating fully in taking care of the family. She emphasized that if a woman really wants, she can thrive. Maybe few countries giving more opportunities few less but efforts are on everywhere and that’s the good news. Leza also emphasized that women are questioned can she lead, is she aware of business jargon. Therefore women should take advantage of social media and raise their voices in order to showcase their worth. 3. Shirley stressed on the fact that to accelerate career advancement strong communication line is the need. She mentioned that if women don’t speak for themselves then it is assumed that she is happy with the position where she is. Efforts should be made by women to aspire to reach high positions at the workplace. They have to communicate openly with their colleagues and bosses to get them heard. Otherwise, their efforts will be unnoticed and everybody will assume that they are happy wherever they are. 4. Dr Smita highlighted that the challenges for women both in the field of education and workforce needs context sensitive solutions. So the challenge is to bring government-led initiatives, gender-specific and friendly policies which can provide equal opportunities for all. She also mentioned that women as mothers should give equal opportunity to both kids and should never condition them to gender-specific roles or duties in life. 5. Dr Caroline mentioned that based on capability both men and women should have an equal chance. She also highlighted the need of change in parents thinking, who can play a very important role in guiding their girls for higher education in life. In the end, everybody envisioned a beautiful future for womenfolk with a change of perception and mindset for women playing a major role at higher positions.